[Free Pattern] This Super-Cute & Quick Bunny Crochet Pattern Just Melted My Heart! This bunny doll pattern with simple features and a small, huggable body is seriously cute! 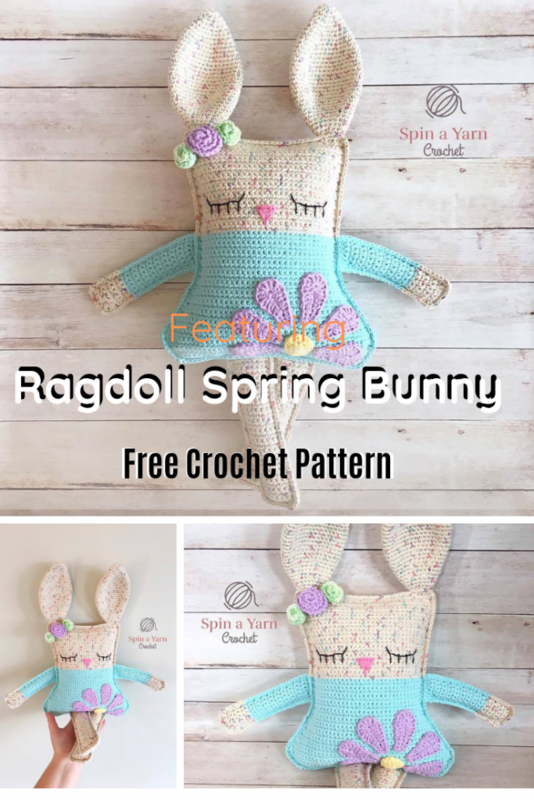 Ragdoll Spring Bunny by Spin a Yarn Crochet is great for Easter baskets and for Easter crochet. This super cute ragdoll style bunny amigurumi will certainly put a smile on children’s faces. The pattern is fun, easy and quick although require a bit of sewing. Get the pattern: Absolutely Darling Bunny Doll Pattern. Thanks to Jillian Hewitt for the article inspiration and featured image.